A campus with over 4000 students, coached by highly distinguished faculty using the latest teaching aids, excellent hostel facilities, and a vision that drives us to ensure imparting wholesome technical education to our students, is what sets us apart from the run-of-the-mill engineering institutes spread all over the country. An educational oasis located in the pristine Doon valley, the 20 acre DIT campus provides unparalled opportunity for students. A wealth of resources and support services help students get the most out of their time at DIT. Placements: Training & Placement Department has an important role to play in student’s future an indispensable pillar of the Institute. This department continuously strives to help students in pursuing their career goals by acquiring employment-seeking skills and ultimately to attain desired employment. This is accomplished through building a strong partnership amongst students, alumni, faculty members and industries. DIT follows centralized placement activity which gives each branch equal opportunity to grow for sustained excellence in career through training & placement. 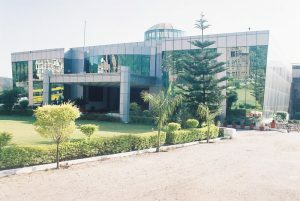 Campus: A campus with over 4000 students, coached by highly distinguished faculty using the latest teaching aids, excellent hostel facilities, and a vision that drives us to ensure imparting wholesome technical education to our students, is what sets us apart from the run-of-the-mill engineering institutes spread all over the country. An educational oasis located in the pristine Doon valley, the 20 acre DIT campus provides unparalled opportunity for students. A wealth of resources and support services help students get the most out of their time at DIT. From first rate libraries to innovative computer technology, students have access to many tools to explore academic interests. The campus offers diverse resources for the mind, body, and spirit and enough flexibility for students to explore them in their own distinctive ways. Central library: Library is a very important component in the infrastructure of an academic institution. It plays a key role in the overall development of a student of that institution.DIT management’s vision has led to the establishment of a Library for its students comparable to all other sophisticated modern Libraries. The DIT library is a member of the INDEST Consortium, British Council of Library, NPTEL, EDUSAT and DEL NET. The main block, home to the 24×7 wi-fi enabled library, is the knowledge hub of all academic activities. It has a remarkable contribution in making the institute a premiere education centre. The Library has automated circulation of books through Online Public Access Catalog (OPAC) search facility and over 67 national and 240 international journals. The reference section contains books on subjects as varied as a nanotechnology etc. The library is equipped with 3M library security system for round the clock protection of library books and other reading materials. Besides holding the best resources for the academic fraternity, the LR’s houses an extensive collection of books, magazines and DVDs for students, faculty and staff – easily searchable with SIM software. Spread over a generous 850 sq.m, the library seats 150 students with ample ease. The library is home to over 51,000 volumes including books, reports, journals and electronics. Hostel: The DIT campus hostel facilities are American Studio style apartments- one of its kind in North India, with ultra modern amenities. Each apartment comprise of a common room, bathrooms and three rooms (each being shared by two students). Six students share an apartment and this gives them the advantage or maintaining privacy in hostel. The apartment clusters have common rooms with TV, in house tuck-shop, STD-ISD facilities and indoor sports facilities. The hostel mess is equipped with modern appliances that serve pure vegetarian, nutritious and hygienic food. The wardens reside in the hostel campus and look after the students. We are deeply concerned about the safety and security of our students – the hostels have round the clock security and students are expected to abide by the hostel rules. map is incorrect… its of dronacharya inst. of tech. DIT Dehradun is one of the best engineering colleges in the state. Situauted at the foothills of the Himalayas and Mussoorie just half an hour drive away it’s also one of the best located college in the state, offers a great pictureseque view of Mussoorie from the campus.